When looking for the right car, my monthly payments were critical, in helping me make that final decision. Alicia worked with me and found the best car for me and was able to make sure that it would meet the best monthly payment plan. I would recommend Alicia to all of my friends, for she goes far beyond 100% to help you makethat right choice. Go fly the outer skin. Just don't drive on windy days after 8 years. 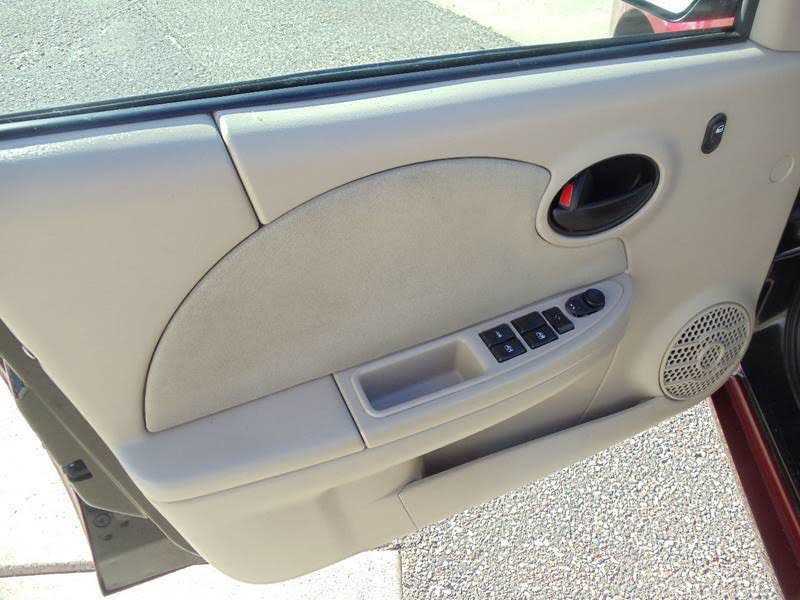 Gm ambassadors don't return calls and suggest its your fault that their plastic exterior is faulty. It's costing us approximately $800 TO FIX THEIR FAULTY PASTIC EXTERIOR COVERING. I WILL NEVER BUY ANOTHER GM PRODUCT.!!!!!!!! Second Saturn I have owned . The first one wouldn't quit. I gave it to my step son with 250,000 miles and still ran strong. I bought my Saturn Ion Coupe new in 2007. Same reliable service and still own it in 2016. If you take care of a Saturn , it will take care of you. 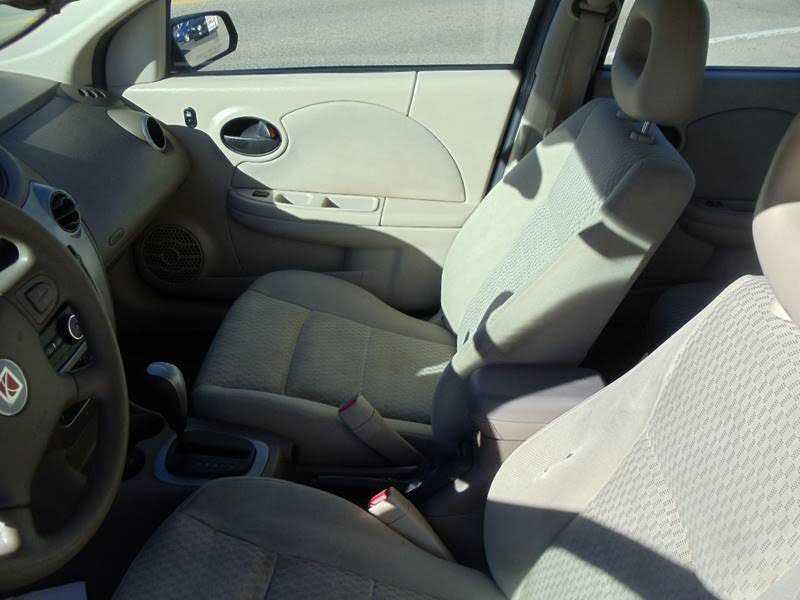 Most important, where can you get a small sporty car that has a fold down front seat? Can't tell you how many 8ft. boards I have hauled home. I bought this car used in 2009 with about 32k miles on it. Loved the look of it and it drove great. I had about one year of good driving and then it's been nothing but problem after problem. Wheel bearings, front bushings, AC gone, multiple check engine light problems that result in expensive repairs or a mechanic who can't find the problem as it comes and goes. I've sunk more money into this car in just a handful of years than I did in all the years of owning cars previously. Used to Hondas and Toyotas. Bought used Ion for my teenage daughter - what a mistake. 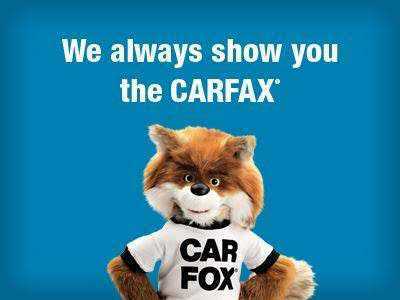 Clean CarFax, 91,000 seemed to drive fine. Assumed it would be good for her limited driving needs for a few years. Wrong - at just 91K needs ball joints, shocks/struts, and the transmission seems to occasionally slip. Repairs first year are going to be as much as I paid for the car - $3000! In the end I should have just spent $6000 on a good Honda or Toyota. American cars are just bad - especially GM. No American cars for me EVER AGAIN. I owned a body shop and have been around many cars.. yes it could add some extra sleek looks but when i bought mine new 10 years ago and 160K later I was looking for something I can depend on.. and this was the car. Best car I have ever owned. 2.4 has been a great car low maintenance other than the recalls with power steering and fuel pump the car has not had any problems. put gas in and go. owned it since new in 2007 regular maintenance. Only thing I don't have to worry about is my car it always starts and drive anywhere I need it be it a short trip or across Florida. I have the larger motor 2.4 average 24 city and 29 highway. No regrets buying this car most reliable car of my 20 cars I've owned. 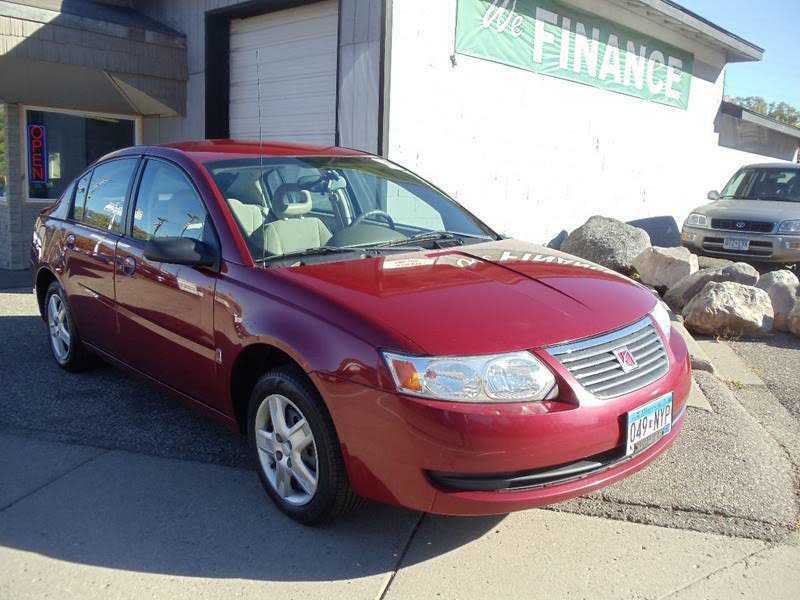 2007 Saturn Ion company car with 163K miles. Drive 75 mph on the highway and get 30 mpg consistently. All electrical works with no problems, leather seats still look good (no rips or tears). Normal repairs with one exception. Exhaust pipe behind motor(flex pipe) is also attached to cat. converter. Over $700 for new pipe with converter at dealer. Front suspension bushings have been replaced twice. Motor runs great, uses no oil. Car is dependable and has not let me down. After buying the car used 2007 in mid 2011, the head cracked 10 months later for no apparent reason, spewing oil everywhere to a tune of over $2K. Now the front end shakes and vibrates periodically like the car is falling apart, and sounds like a helicopter under the hood at other times. Time to dump it. I have 120k miles on my ion 3 and it's still truckin along just fine. At around 100k I had the infamous power steering glitch, it would go out till you restarted your car but after a week it stopped. Havent had it happen in 20k miles. Just keep up with your maintenance and change the oil every 3-5k and itll last forever. I havent had one thing go wrong since I got it at 65k. I am 6'4" and its not the most comfortable to get in and out of if your a big person, but other than that there is nothing to complain about. Bought my Saturn ion sedan for about $6000 with the manual, from private party. As an engineer, I value my Ion. Fun to drive, kinda sporty for compact sedan. Made in Tennessee Comfortable seats Decent fuel economy with the 2.2. I averaged about 27-30 mixed driving. Reliable engine. Easy to work on compared to imports. Two bolts to remove this and that. Nobody I know has a positive thing to say about the styling...however it has composite panels to last on salty Wisconsin roads. This ion won't look like Swiss cheese in 10 years, and believe me, I am tired of working on rusty vehicles. Think of it as a more durable Chevy Cobalt. Have had no problems at all with my Ion. Nothing but bad things with this car. I have 39,000 miles and already have had to replace the power steering, the fuel pump, the sensor on the accelerator (TWICE! ), the wiring in the driver door, the back glass (defroster wasn't working). Some wiring in the console was found corroded due to poor connection. The gas mileage has been OK at around 28-29 MPG, but I expected better for such a little car. Also, the rubber seals around the windows are buckled and look terrible. I also had to replace the tires at 27,000 miles for dry rot. The worst car I have ever owned and I'm 40 and have had a more than a few old beat up cars. They all ran better than this one did. I like GM, but hate Saturn. My dad bought this car for me in 2007. It was brand new when I bought it, and I've driven it rough, to say the least, for the past 5 years. I have never had any serious problems with this car, and have rarely had to do any repairs except for general maintenance. The only real headache I've had with it is that it has ignition problems. The key is sometimes hard to turn and one time the key actually got stuck in the ignition. I had to drive it to a repair shop and let it run out of gas because I could not get the key out. But all in all it cost about $100 to fix and I haven't had problems since. Its built like crap but that's why it made such a good first car. My father and I cooperatively own an 07 Ion 2; it currently has 72,000 on it and runs as well as you'd expect it to. My main complaint with it? It's cheaply made, and horribly so. The road noise is unbearable, making you turn up the radio loudly enough to distract you on long highway trips (I travel 3+ hours for trips home & back for college). The interior is lacklustre: the seats are unconforming; the dash is made of cheap, low grade plastic, and the gear selector feels like you're going to break it when you depress the button to pull it out of park. I don't recommend this car for long trips, or in-city driving; short highway trips only. The gas mileage is sub-par for a car this size. I bought my ION 3 Quad Coupe new in April of 2007. It wasa solid car with good build quality despite the relatively low price. Over the next 4 years I put over 131,000 miles on the car with only two major problems: The throttle position sensor and the power steering motor failed. I also had to replace the original tires (Chinese Hancooks which were 3 years older than the ION) because the they had dry-rotted to a dangerous level. I would still be driving the ION today if it hadn't been totaled in a rollover accident which was not the fault of the ION. It kept me alive. I only reget GM decided to try to make Saturn into an outlet for German Opels and thus killed the Saturn product line. I purchased my Saturn Ion used in early 2010, and I immediately started having problems with it. My grandparents always swore by Saturn and never had problems with their Saturns, but the Ion is definitely an exception. I have had problems with the power steering going out (repaired under warranty), the suspension bushings, the key getting stuck in the ignition, the hubcaps squeaking, and some other electrical issues. The interior quality is awful and the paint coat is super thin. I have enjoyed driving it, as it handles and performs rather well, but the reliability and build quality issues are forcing me to sell it. I'm looking at the Mazda Miata and Chrysler 200 currently. I bought My Ion 3 2.4L Manual new and I really like it, my only complaint is all the dealers around me were sold out of the redline models so I couldn't get one of those.. This is a great car I've had it for 4 years drive constantly and have not had a single problem. Great mileage on the highway even the way I drive which is usually around 140km/h.. I have not spent a dime on it other than oil changes, I even got free tires for life when I bought it.. I've bought new 6 new vehicles since 2000 ranging from trucks, Suvs, and cars and this and my 2005 Vue are the only vehicle I,ve kept for more than 2 years.. I'm going to miss Saturn. I love my Vue and Ion great reliability and fun to drive!!! Look, Purchased vehicle in 2007 July. I wanted a vehicle that was economically and efficient for my needs. I have 105,000 miles on the vehicle since purchased. There are a few items that are cruddy, like the a/c blower's tick, the back passenger window not opening in the summer heat, the weird knock in the back.. due to the battery being in the back.. (I know when I get the oil change and they don't pop the trunk and "claim" they checked the battery... I normally get a nifty discount for their lying ways..) the interior being tiny and cheap. But, I bought a cheap car. I drive the crap out of the vehicle. It can get up to 35 mpg on solely highway driving.. I know this because I drive a lot! This care is unsafe. Ticking time bomb. I love my Ion 3 Quad Coupe!! 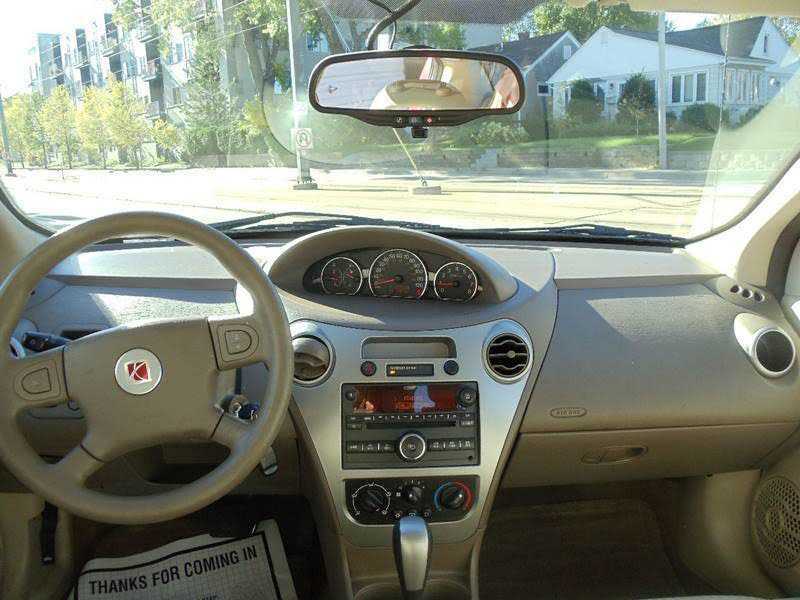 There are a lot of bad reviews for the Saturn Sedan but I totally love my Ion 3 Coupe. Bought it new and just passed 60K miles and not a problem yet. Good performance. 37 mpg highway (at 70 mph). Beautiful paint and finish, and I love the plastic body panels - no dings or dents - although there is more road noise because of the plastic. The interior design is only fair due to cup holder location. Plastic interior looks cheap. XM radio is great! On- Star is superb but costs too much. Very happy with car but disappointed with a squeaky brake pedal. Dealer says it is a faulty booster and cannot do anything about it. Been greased two times and still squeaks. Purchased brand new. This car is beyond fixable. To start, had problems with the knocking noise coming from rear, never repaired, radio went out under warranty, wheel bearings went out, power steering goes out intermittently even after having repaired just 6 mos ago. Car now will not shut off! GM wants to act as if they aren't associated with the vehicle but its one of their products. Needless to say, I'll never buy an American made car again! Traded in my quad coupe because it had a big bulls eye on it (kept getting hit by drivers not paying attention). Loved that car! The day I drove this car off the lot, I had a problem with the rotors being warped, then in 2008 the engine powered down twice due to a computer error that they were never able to duplicate so they couldn't fix. I live in fear that it'll do it again while I'm on the highway. Now, something seems off. Shaking when I slow down, squealing noise from the front left tire, feels like it bottoms out going over the tiniest bump. Idles roughly. Nothing near the mpg advertised. Wish I'd just kept my other car & had it paid off by now. I bought new in 10/07 and only after one month, problems arose. Poor gas mileage for city. It tries to stall while idle, multiple steering issues, vibrations, rattles, plus a knocking sound coming from the back of the car and now, poor acceleration with 4th gear. Replaced headlight, grill, fuel pump, whole exhaust system, power steering- column, shaft, four new tires (two tires separated (bubbled). Overall service received POOR. I just want the car fixed! No dealer will pay a descent trade value. Saturn wont fix tranx unless it codes on computer. "I have to wait for it to get worse before it can get better." I hate this car! BBB doesn't even consider it a lemon, because it hasn't stalled. Car is up on factory warranty end of March 2010. Car has 53000Km Never had any problems until Feb 2010. Stereo went, then 2 weeks later the heater fan made a horrible racket, when in they noticed a axle seal leak. Beginning of march I noticed the car would accelerate from 40-60km/hr, dealership replaced MAR sensor, said my K&N filter caused it, and I replaced with a factory style filter, as per their recommendations. Car is doing the same thing now with only 100km since the last time I saw them. As well one wiper arm is now stuck. This thing is a LEMON DO NOT BUY!!! We bought this car new, when gas prices shot way up. I had always heard how great Saturns were and how wonderful the service was. I was also impressed with the owner loyalty. My only question is "How could anyone love this car?" It is sluggish, extremely uncomfortable, and the interior parts are the cheapest I have seen in any automobile. The seats stain if you spill a drop of water on them. Cheap, cheap fabric. The car is noisy on the highway. This is the first and last GM product I will own, what a piece of junk. The backseat is useless with zero headroom and legroom. Very disappointed, could have bought a Nissan Sentra or Toyota Corolla for the same dollars. After buying it new, there was a brake problem, warped disk. They fixed it. Then, at about 35,000 mi. the radio stopped working properly. The engine light came on. Saturn said engine light was caused by bad injector, replaced and problem still there. Some dummy lights would stay on and go off. Had to replace bearings. A lot of ride and engine noise, and front wheel noise, and brake vibration because disk is warped again. Seems to be some transmission problem with hard shift into first gear. So basically, a terrible car with too many problems at such low miles. Bought my Ion 2 new after owning an SL2. Love the way it looks and drives. Currently has 38,000 miles on, several real long trips. The only problems I have had are: 1.Right side mirror fell off.... (I thought someone may have torn it off, but see someone else who did a review lost theirs as well. )2.After driving on a very long trip out west going over some terrible road construction (read big chunky rocks and holes- no road)had to have the strut and mount replaced and exhaust system fixed. All was covered under warranty (it was just under 36000 miles at the time). Haven't experienced any problems with steering, noise, bad mpg as some report. Always starts, even in coldest weather. I have had my Saturn ION 3 for almost 3years now and i love it! I bought it used with 15,000 miles ...it now has 30,000 and its AMAZING! Great car, very reliable, great price, ITS A SHAME SATURN is no longer!! Bought this car used with 38K miles. The car sounds like it is breaking in half during turns/bumps. Wind Noise. Axle went out & had to be replaced. Too many repairs to list. Battery died when car was only 1 yr old. Struts went out. Entire engine replaced at 60K miles. 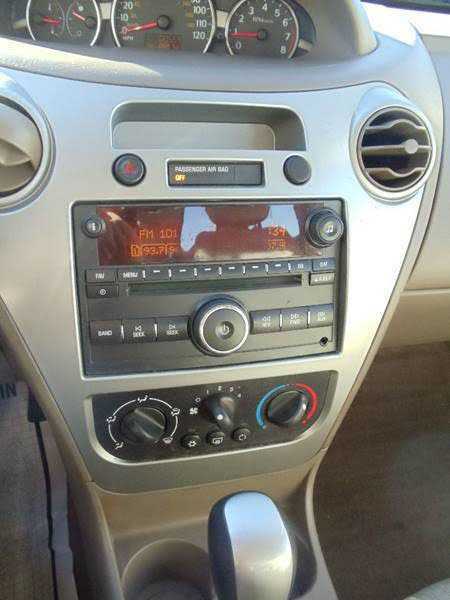 Radio went out, & Saturn will replace for $500! Expensive! Without the warranty, I would've paid more in repairs than I even paid for the car ($10K). I am getting rid of this and going with a Toyota Camry instead. I only purchased this car because it was affordable (I got a discount on the price through family and friends discount) and the reviews on it were decent. I have had problems with this vehicle since day 1. Everything from replacing both frt wheel bearings ( 5 mths after purchase) to now having the power steering to lock up. I am very dissatisfied with this vehicle. This car is known for steering problems. The steering locks up while driving causing an extremely unsafe condition. Saturn is aware of this problem and has not notified owners or issued a recall. You will have to fix at your own expense (a hefty one). Saturn needs to address this issue before somebody gets killed. LEMON! This car is nothing but problems. First a head gasket replacement at 24000 miles then the power steering went at 32000 miles and now the front wheel drive is all jacked up. overall a terrible running car with way too many problems for the mileage and year purchased and I only drive to and from work, no hard driving. Very cheap feel to it and not reliable at all. I would love to have my Civic back!!! I bought3 cars, 2 stripped down version and one with Auto Tran. The front suspension started to clunk/rattle while driving over not-so-rough road conditions,all three vehicles affected when they hit the 33K mark approx. The traded 1995 SL2 front end noise started when it reached 165k miles. There is a grinding noise when shifting to 4th or fifth gear. Downshifting becomes impossible sometimes ( will take 2 or 3 attempts until it finally engages). The passenger side air bag light will turn ON (intermittent) when there is no passenger. I bought this car used. It is close to 3 years old. Love it but the gas mileage is not as good as I thought it would be. I do love the comfort as I don't drive far to work and I did have a 2000 Saturn SC1 that I loved but I decided that I would like an automatic as the 2000 was a manual. I actually miss my SC1!!! Probably because the gas mileage was much better,but there are interior issues also. Like the cup holders-they stink! I normally have a large bottle of water, and I had to resort to buying one of those cheap cup holders you have to wedge between your window. I guess I know why the previous owner traded this car in with not even 16,000 miles on it. Great overall car. Most people are surprised when I say it's a Saturn. Also surprised when I say it's exactly the same as the Chevy Cobalt SS. A very unique, rare and special car. There were only about 530 Redlines produced for 2007. Fuel efficient, fun to drive, and great acceleration on the highway. I bought this car because, at the time I thought my 2003 had been ruined by a quick oil change company. The engine died at 150k. The dealership offered me 1k for the dead car to buy a 2007. I did and regretted it from day one. The engine on the 07 died at 52k miles. I had 2 steering replacements the first costing over 800 dollars. The trunk bar broke almost after a month. The car sounds like its ready to break in half when you hit an average sized bump. The transmission was really quirky when accelerating. The interior stained way to easily and was cheap. There was a constant chirping sound from the front wheel area that would get fixed and happen again not long after. I'm out of space now. When i first learned to drive when I had my drivers permit my mom had a 2004 Saturn Ion 2, so I am familiar with the performance and drive of the vehicle. I love the way the car handles, smooth drive, and no noises. One thing I have noticed that I am not fond of is the MPG it seems to get. I had a 2001 Chrysler sebring Conv. with a 6 Cyl engine... it seemed that I got more MPG with that vehicle however it could be due to the fact that in the ION I dont notice when I am driving faster so I feel the need to push the gas harder. I'd say for a 20 yr old college student its a great car for the money. I purchased this car when my 1991 Dynasty caught fire, I wanted something economical since I was driving 52 miles one way to work, I wanted a moon roof, fog lamps, tilt steering, power windows/locks, cruise, XM radio option and On Star option. This car had it all. It was affordable and came with a reasonable price tag. I have a few minors issues with the alarm system shorting out, Saturn Service Guys are the best. This car has been nothing but trouble for me, in the 1yr of owning it I have had to replace the headlights (apparently they had cracked and there was about a cup of water in each), the electrical system is very touchy (not fun having your seemingly brand new car stall at a light) and to put the icing on the cake my right side mirror fell off, no I did not hit anything, it simply fell off while driving.. Also it gets no where near the estimated gas millage, I might as well be fueling a truck for as much gas as this car eats up. It will take a lot for me to buy from Saturn again. I am currently looking into a 2nd car for my hubby. We both love it and we are seriously considering getting the exact same car, same year: used of course as it has been a year and a 1/2 since we bought it. We bought a demo so it had a few hundred miles on it when we got it & it came with a good warranty. We really feel it is a wonderful car. I like the idea that the car isn't going to ding up & that the car in a few years will still look as nice as it does now. There are some minor issues which I see from other reviews that has bothered other drivers too. More on those later in my review. I do like the center instrument panel & the stereo especially. everything is really easy to use. I orignally purchased this car for one of my kids, but needs changed and I've ended up driving it. It's a nice basic vehicle. It has adequate power and handles nicely, although the traction control doesn't deal with deep snow as well as it should. Gas mileage is pretty good, about 23-25 mpg in the city and up to 35 mpg on the highway. It provides reliable, economical transportation. Certainly deserves a better rating than the Edmunds Editors gave it. I bought the stripped down version of this car (manuel transmission and windows) for 12500 brand new and so far its been worth every penny. 30000 miles later it still runs great and gives me no problems. At 20000 the change oil light went on and stayed on thru 2 oil changes but it evenually went off. The interior is a tall persons dream as the front seats go back extremly far, making it very comfortable (im 6'5) The milage is constantly around 30mpg. The only downside is the lack of acceleration in the car. Even is a standard you cant beat a SUV of the line. If you want a simple no frills car that is reliable, go with this car. I bought this car as my first new car @ age 23 and have never had an issue. The first winter (in Maine) the tires were fairly new but it did give me some trouble on hills and with stopping. I've liked a challenge but the 2nd winter I got studded snow tires mounted and the car went like a tank. 6-8 in of snow on a non-plowed highway and I was braving through without a care. Practically plowing myself. I did have an issue with snow building up in the wheel wells but who wouldn't. Overall, car has been great. Good fuel econ and nice sporty car for summer. 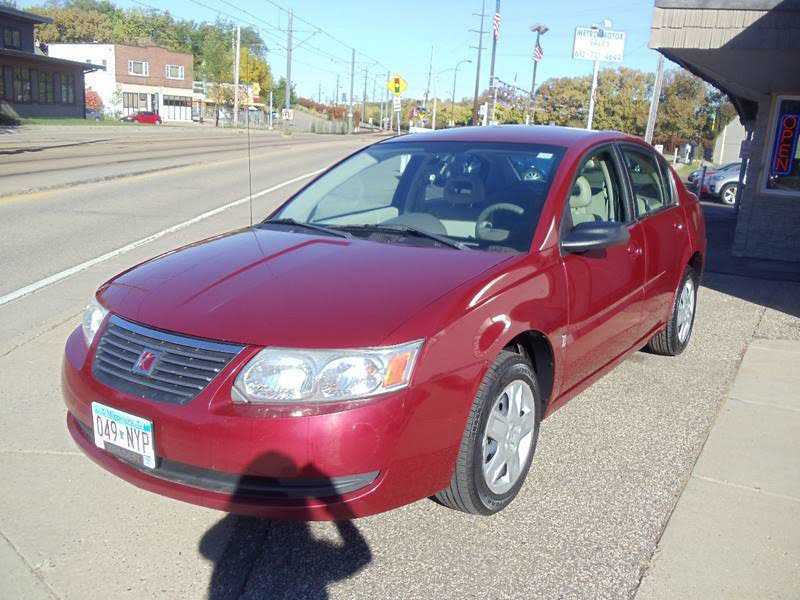 After somebody cut out in front of me and my 10 year old used car got smashed up, I applied some of the insurance money towards a new 2007 Saturn ION. The Saturn dealer let me have it for under $12,000 and I've been happy ever since. It came with cold AC, a decent radio with CD player, 1 year of FREE OnStar service, and dark tinted windows. It drives well, has pep, and it cruises at 80 so well that it feels like you're going 60. I've put almost 19,000 miles on it in 17 months and it's been a very good car. This car is actually very nice to drive in the summer (or places that do not get more than a few inches of snow a year). It is great on fuel. I drive it about 3,000km a month. However saying that, I live in Southern Alberta this car is horrible to drive in the winter. It can get stuck in as little as 3 inches of snow with a slight drift. I have had this car for 2 winters now, one not finished yet and I have had to call road side assistance 3 times to get it unstuck and had to push it out about 30 times it high centers easily as well. In winter the only redeeming quality it isn't to heavy for 2 to push it out. Snow tires a must and you'll still have problems. Excellent car , for the price. I find this Ion to be an excellent car. Keep in mind it is not a luxury car. Basically a no-nonsense, reliable vehicle. I had owned 2 Saturns previous to this one & have found all 3 to be reliable, transportation, & based on cost per mile I couldn't be more satisfied. Unfortunately the polymer exterior panels were dis-continued in 2007. That was one of the main reasons I chose to buy Saturn. They are tough , don't rust or corrode & the paint finish is as attractive after 5 years as it was when new. Not to say these cars are flawless. I have encountered a few minor problems. None that ever put the car out of service & all were repaired under warranty to my satisfaction. I got an 07 ION sedan 2.2l automatic alloy wheels spoiler sunroof and was excited. I loved the car for about the first 6 months then realized some of the poor quality that went into it. The seats are extremely cheap. I only have 22,000 miles on the car and the fabric in the driver's seat is coming loose. Also the light grey fabric throughout the interior stains extremely easily. 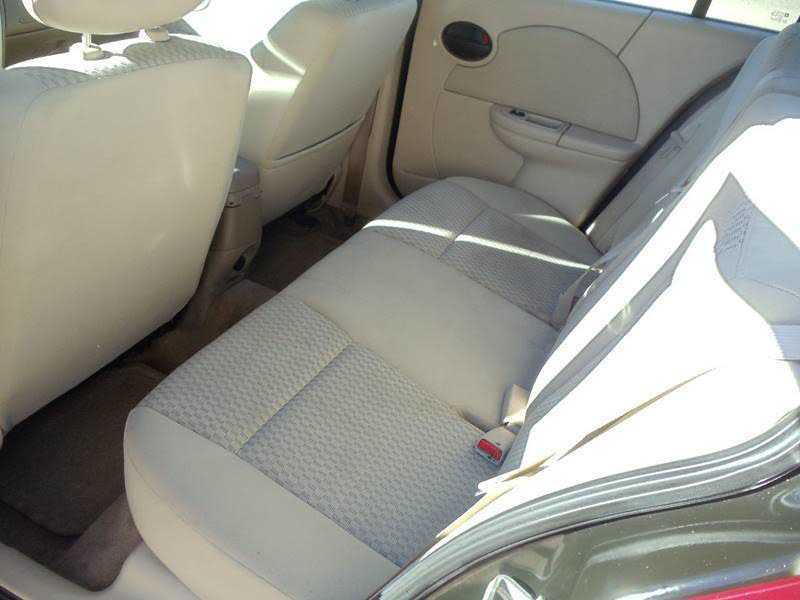 This is more apparent as you own the car for a year at least and anything will stain the seats/carpet. At 18000 miles the driver window fasteners failed and the window was loose inside the frame. The sunroof creaks when you go over a bump or change in road incline (like up a steep driveway). Engine s great. Have to defend my ION! I have to defend this car. Have had mine for 14 months and with the exception of a tiny bit of wind noise (Saturn will fix it) the car is great. No, I am not in any way affiliated with Saturn or GM. In fact, this is the first American car I have owned new since 1979. Folks, it's a $20,000 car, not a $40,000 SUV. When I drive well, I get an avg city/hwy of 33mpg. I use only good gas-Union, Shell, Chevron, etc. I change the oil every 3,000 miles no matter what the OnStar report says. I keep the tires inflated properly and clean the air filter every 6 mo (dusty area) Frankly, I was very happily surprised as I have been very soured on American cars. Why did I buy a Saturn? I bought this car brand new in Toronto, and drove it from Toronto to California, up the coast to Oregon, and all the way to Phoenix. I have put 39,000km on it in just over a year. In the first 6 months of owning it I had to have the entire electrical system replaced. 2 months later I had to have to accelerator and brake system replaced. The starter had problems after one year, and once it wouldnt start at all for quite a few hours. AAA will not unlock this car if your keys are locked inside. They told me that this models electrical system is too delicate. 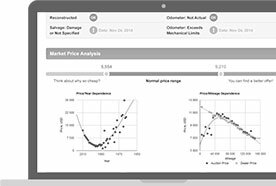 The fuel economy is below average and far below the EPA estimate. Overall I am sure you can tell that I am very disappointed in this car. Horrible, save yourself the hassle! I bought this car in Dec 2007 for a birthday gift to myself. Ii am 19 and had never owned a new car. Well let's just say if I could go back and get a different car I would! At 3000 miles my car was in the shop 2 times for clunking while doing u turns, which they replaced the tire well and it still continues today, and also a chirping in the tires. They tell me there is nothing wrong with it, also still going on today. I have 8000 miles on my car & I have been to the shop 9 times for the reasons above and now clunking in the back of the car as well as brake clunking. My rotors have been replaced for being warped after 2000 miles. and the tire well, also things have been falling off the car! 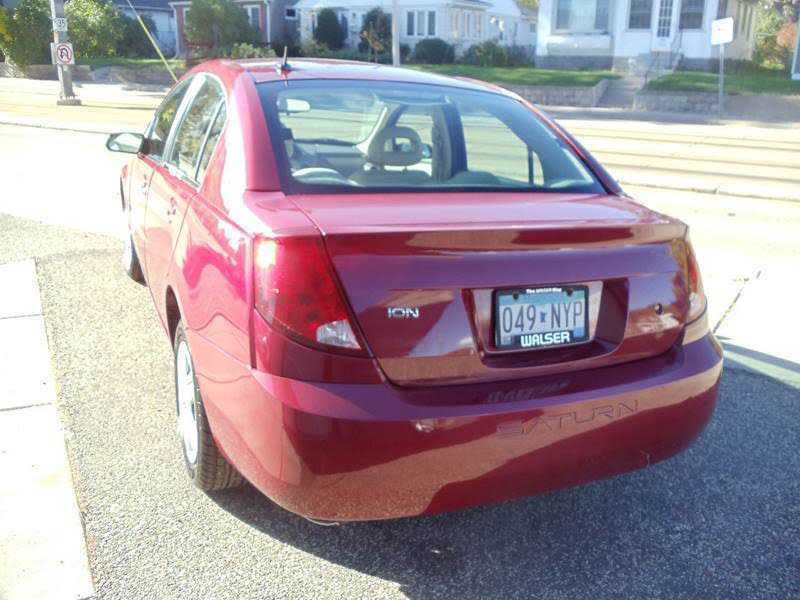 2007 Saturn ION 2 4 dr. I have owned this car for about three months now and have been very pleased with this car. I drive arond 100 miles a day and all interstate. I have been averaging between 30 and 33 mpg. The car drives and handles great and has surprising pep for a 4 cylinder. As of now, no problems and still enjoy driving the car. This car is & always has been a serious junk. Multiple problems: shifter (possibly clutch) problems, floor heater never worked, doesn't get cool enough for tx summers, horrendous gas mileage, climate control panel gets extremely hot when controls used, screeches when it starts, rattles when idling, major power loss in fifth gear! You can't jump on an interstate in this heap! Warranty you say? No I'm just a stupid woman & need to get my foot out of it to shift it. But I've met several owners with the same issue! Other other warranty work can be done, if I let them dump me out of the service van & left overnight with no transportation. I have always drive a GMC Z-71 but living in Atlanta GA and driving 25,000 miles a year had to retire my truck to the driveway and get a car that fits my driving budget. This car has been great! I still love my truck but do not want to spend $1000 a month. The ION is fun to drive and gets about 30mi per gallon, my truck gets 12. If I had to switch this is the car for me. 16,000 miles and no problems with this car. I purchased a Saturn because I could not afford a Toyota Corolla. However, my driving experience has been great. I drove this car from Alabama to Texas and back. It did not give me any problems. After I purchased my Saturn, one of my friends decided to purchase one. If you are in the market for an affordable and reliable car, I would strongly advise you to consider purchasing this vehicle. The monthly payments are extremely affordable too. If you are looking for luxury, honey you are looking in the wrong place. Remember that the car's main objective is to get you from point A to Point B. That's it! I typically buy foreign cars. In selecting Saturn, I reviewed the fuel efficient and its environmental impact. I wanted to buy an American car again, but I have had problems in the past. Anyway, I bought the ION brand new in 2007. I have been put in a rental car for a total of two weeks over the past year due to problems with my vehicle: I was driving on the highway and my vehicle started decelerating while I had my foot on the gas. It took them three go arounds to fix that. Right now, my passenger window will not roll up. My seatbelt light indicating that something is wrong with it goes on intermittently. Cheap interior. The mileage is good though all around - not impressed! I bought my Saturn used (22000 miles). I've only had it for 4 months, but I am extrememly pleased. Gas mileage is great 26/27 in town, 31/33 highway. I find that the car has plenty of power and I like the ease of parking. The only drawback is the comfort level. I'm not a small guy, 5'11" 250+. I find that there's not a lot of leg room for the driver. Of course I was driving an F150 before. So far so good. It is a quick little car without the hassle of too much hype. Great in all seasons. There is no doubt but that this is the best car I have ever had in terms of quality. I have 19,000 miles on it and have not had a significant repair. All work done on the car has been routine maintenance. My son-in-law has the same car but without the fancy features and his experience is similar to mine. My college daughter had driven this car in Grand Rapids for the past year with wonderful fuel economy and through a lot of hard winter days. This was a great buy and it is too bad GM stopped making this fuel efficient and affordable small vehicle. She loves the center display as she is short and can see the road better with nothing block her forward vision. With a manual transmission the highway economy is 35mpg. She claims this is a very quiet car and I would agree as I have a couple of Saturn Vues, 2006 and 2007 and it is by far more quiet then these more expensive Saturns on the highway. With full airbags I feel confident she is in a safe vehicle even thought it is a compact. I researched compadible vechicles, and either the price for what I needed and the fit for size and comfort was not met by these other options. This vehicles runs great, handles nicely and even though it is not a stick, the 2.2l engine still gave me 34.6 miles per gallon for highway driving on its first road trip. This is impressive considering it is larger than the Saturn SL2 that I could squeeze as much as 40 miles to the gallon under certain conditions, but was to small for taller passangers. I will keep an eye on it to see what overall performance will be in the future, having owned a Saturn in the past, I believe it will be impressive. It is amazing what you can squeeze into the quad cab, such as a giant air conditioner that would no way go into the trunk. It's pretty, good color choices inside and out, and those flexible panels are nice. My fiance got the car in April of 07. Bought it off the showroom floor with 43 miles on it. Started off getting 24 mpg, and slowly dropped off to about 16-18 mpg. The car has 23k on it now, and we have replaced both headlight assembly's twice due to moisture. The rotors got warped for no apparent reason last month, with hardly any wear at all on the pads. Everything inside the car started vibrating at around 5k miles, and at the same time around 5k miles, the transmission was acting up. Theres a constant knocking noise coming from the fuel pump, like we have a person locked in the trunk. And the cheap hankook tires were dry rotted before 12k hit. To be a brand new car, it sure has had a lot of issues! It's a good thing that Saturn stopped making the ION. This car developed rattles after about 1000 miles, it's gas mileage has gone from about 35 average to about 13. It's going to go to the wrecker soon if it keeps losing it's solid "new car" feeling. It has some pep, but that just makes the fuel pump sound like someone knocking to get out of the trunk. This car is fun to drive, but knowing that each press of the gas pedal is costing a few dollars and listening to all the interior rattle and buzz makes me drive like a senior citizen. I wanted an American car. I know this doesn't exist in the truest sense any more, but I wanted to find something made by US workers for an American maker. I've had great luck with foreign cars in the past, and so  so luck with American cars, but I wanted to support US workers as much as possible this time. I thought This is their last chance. So far the car has been great. Just what I wanted. Nothing fancy, just a commuter. 8K miles in a NE winter on mixed freeway\city roads. 31 mpg average and I make no attempt to drive efficiently. If these first 8k miles are any indication, I'll be back. We recently purchased a pre-owned ION and like it a lot. I work in a dealership and had always been skeptical of American made cars. I hope this Saturn proves me wrong. So far my husband and I have enjoyed it thoroughly. The one thing I dislike is the cheap plastic interior design. Otherwise it fits our needs. I bought an Ion3 Quad Coupe 2.4 based on the test drive. I was replacing a 2001 Ford Focus ZX3. I found the Ion3 has a softer ride & corners better. Much less lean. I have not had to return it to the dealer for other than routine required maintenance. I liked my Focus but I love my Ion3. Both equipted with auto trans. The Ion3 is just a more comfortable car to drive. I have not had it on any trips on the highway, just in city driving. I check my mileage on each tank & it is about 25-26 MPG. I have no clue what the highway milage is. I am just as pleased with the car today as the day I bought it. Dent resistent panels are a plus, too bad 07 is the last year for them. I traded in a 97 Sl 1 automatic for my ION. I have been very satisfied to date .I have had no problems at all. I find my ION to be comfortable, quiet & fun to drive . The fuel economy is good. I like the electronic steering. My ION is easier to handle than my SL 1 was . I was surprised by this car and it exceeds my expectations. The build quality is good and the interior is well put together .The Storm Grey color is beautiful. My ION holds the road well. Saturn refined the ION since its introduction and my 2007 shows the results.I do wish that the power window buttons would be easier to find at night. Overall my ION has a degree of refinement that I did not expect to find. Our daughter purchased the first model year (2003) ION, and is generally pleased with it. The ION has been refined and improved each year, then when they "perfected" it, they stopped making it. We purchased this car used (31,500 miles), but it looks, handles, and performs as if we just drove it out of the new car showroom. A good, solid feel to it, and fun to drive. 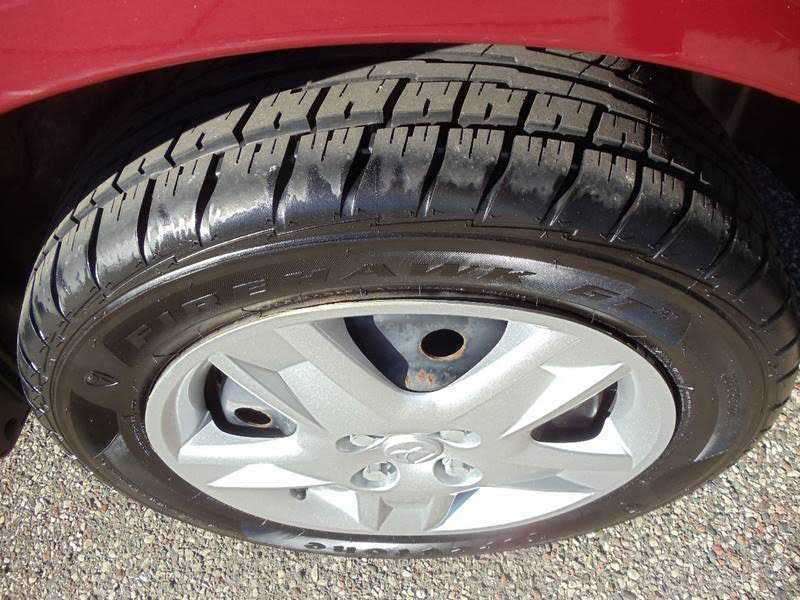 A mistake with the original ION was the factory-installed Firestone tires (terrible), but they switched to Goodyear Assurance Comfortreds a few years ago, and they are great, safe tires! We absolutely love this car. No, it doesn't drive or ride as well as our Cadilac, but itt sure gets a lot better mileage. 44MPG on the road. and 35 around town. Good comfortable car for the money. And we can tow it behind the motorhome. My wife drives it to and from her work for pennies a day. We love It! My ION has been awesome from day one. Never a bit of trouble and it has been a delight to drive and own. I was rearended in Sep 07 by a SUV, and was hit hard and the ION took it well and thank God it was fixed. I drove a Mazda 6 as a rental and it was fun but I was jonesing for my ION the whole time. Will go with another Saturn again! 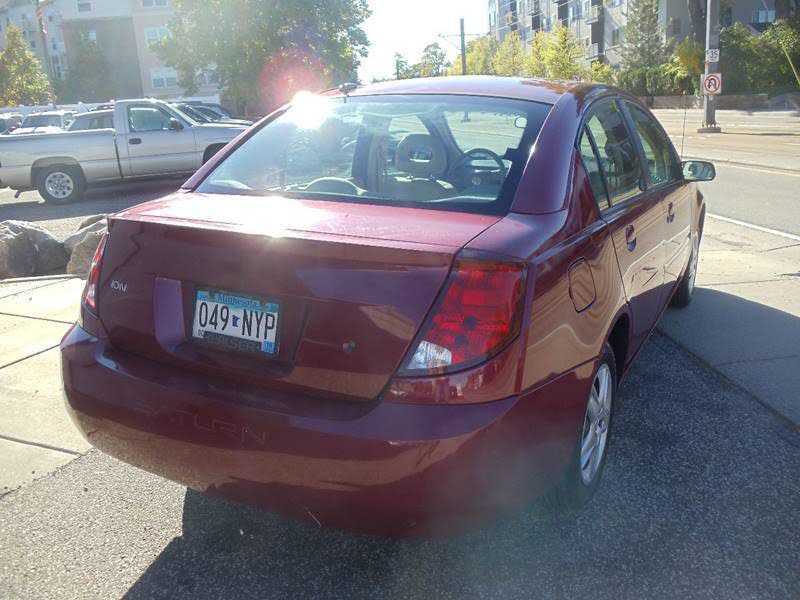 Our Saturn ION 2 sedan automatic 2.2L is very quiet and smooth riding. It is noticeably quieter and smoother than our 2007 Toyota Corolla LE automatic, especially when accelerating from a stop. The ION's handling is excellent. Headroom and legroom is impressive for this class of vehicle. Average fuel mileage (27 mpg) is not as good as our Corolla (30 mpg), but the ION feels much more spacious and comfortable inside. The ION's standard steering- wheel mounted cruise-control performs perfectly. Bought this car for the mileage and am getting 32 mpg overall. Surprised on how much fun it is to drive. The 5spd shifts smooth, is peppy and car corners excellent. The large cargo area with independent folding rear and front seats and rear doors make this coupe a great value. Might want larger outside mirrors, better vision out rear side windows and a little more response in the steering. Otherwise its much better than adverised and must be a completely different car than the editors drove? Would recommend. This vehicle is a very quick and fuel efficient for the amount of HP that it puts out. It does have limited rear leg room but its a coupe with power its made for the single people who drive around for fun, though children fit well in the back adults no. By me driving the speed limit and not gunning it which i did for the first week it on average will get 225 miles per 10 gallons of gas or 3/4 tank of fuel. If I drive it like normal I get about 210-215 per same amount of fuel, but it depends on the Driver my GF drove it for a week and got 230 from 10 gals. Wonderful car though! Speedometer is in the wrong place. Owerall, it is a great car for the money, feels and rides like a larger car. I love the plastic door panels since I never get any dings. The only major drawback to this car is the awful dashboard design. 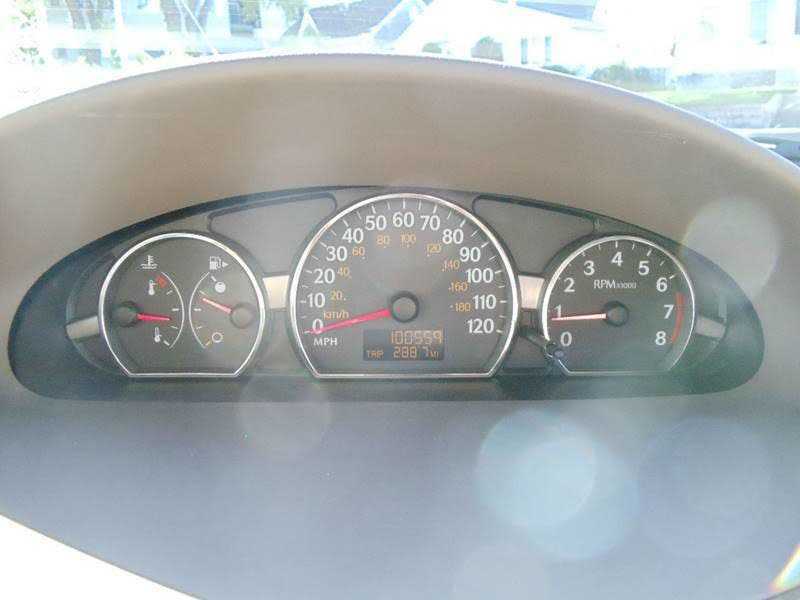 There is no reason for the speedometer to be so far away in the middle of the dashboard where it is impossible to see. If it wasn't for this one bad design, it would be the perfect small car. Compare this car to other cars in the same class like the Honda Civic. You get a lot more car for less money. Ride is quiet and smooth. The engine screams and it shifts very smooth. Fun little car. Suits the wife and I fine. Over 40 but wanted something different and fun and this little quad cab gives it. Don't want speeding tickets, but it is fun to jump off the line. Go old man go. Comparing this vehicle to my last car, 2001 Ford Focus ZX3. Ion ride is smoother than Focus. Corners better than Focus(less lean). Better acceration than Focus. Easier entry and exit than Focus ZX3. More interior room than Focus ZX3. Gas mileage is about the same, 24-25 mpg vs 24-25 mpg, even though the Ion has 175 HP vs Focus 130 HP. Ion steering has a better road feel. Ion trunk opens and closes easier than Focus. Ion rear seats fold down and back up easier than Focus. Entry to the rear of the Ion is easier with the Ion due to the rear quad coupe doors. Ion center console is almost useless. The car is a great car. Very quick from the factory. Comfortable, and easy to drive. I get looks all the time, and everyone can't believe how good it looks. They are suprised when I say it's a Saturn. I like the fact this car does not sell well because I would hate for some one to discover Saturn's best kept secret! I like being the only one around with this car. It is all mine. Not like a Mustang or Civic or SRT4 Neon. It's rare and it's fast, yet nimble. I have the carbon fiber dash kit wich adds some pizazz to the interior! I allso have GMPP stage 2. A non-voided performance upgrade from GM. The best thing is the supercharger whine! The noise the car makes under full load is amazing. I can't forget the dent resistant body panels. Going to the mall or just leaving the car in the yard I know its going to be dent free! Best car around for the price. Too bad it's in its last year of production. Bought my ION when my 4-year-old VW Jetta needed a ridiculously expensive amount of repairs in order to pass the NJ emmissions exam. Since, I've never looked back. The car has no known issues that I've experienced and is very reliable, stable at high speeds and has actually been more fun to drive than the last car -- believe it or not. The dealership experience was great too. Pretty much everything you'd expect from Saturn's reputation. For those of us on a limited budget, the ION shows that we can still get a car that we actually enjoy driving. Always in for repair. Poor Service. Took my ION 2 in for service 2 weeks after the initial 30 day exchange period. Major vibration, accompanied with various rattles from engine compartment. Remount power train. No change. Took it back a week later. Foam insulated my Washer Fluid tank, remount Engine. No change. 3 months later (trying to let prob get worse) foam reattach fan shroud (rattled lose) flash entire car computer. No change, gas mileage drops to 18mpg city. Foam insulate passenger headlight (now cockeyed) prior to getting home that day. Corporate insisted that 4 times isn't enough, take it to another shop. This shop now wants me to come get, and bring back next week for parts. 6 times in shop. 2600 miles. Avoid! Best car for the money, hands down. Built in America, built by Americas, and reliable. The Honda Civic doesn't even compare in my mind in terms of price and quality. This is a great car! It is the first Saturn that I've ever owned and I love it! The mileage is great. I like the center dashboard and the responsiveness of the car. Currently, my car has a leaking problem, but the dealership gave me a loaner and I have confidence in them to fix it. Other than that, the car has been superb. I like the fact that if I need to accelerate quickly that it doesn't shift in to a "passing gear", but that it just accelerates! This makes my 3rd Saturn and I love it. Smooth ride and low interior noise. Not a whole lot of shift shock from the auto transmission and it also has very good acceleration. The power steering is excellent, and it seems to really hug the corners. The suspension is very nice also, you don't even really notice going over RR tracks. Also very roomy for a smaller car. Excellent head room. The sunroof leaked early on, and Saturn gave me a loaner car and fixed it right away. So great service on their part. Also the low pressure approach of their sales team made the buying experience great. I really enjoy driving my ION. It has a lot of nice features and it seems to perfom really well . Not bad for a four cylinder. Lots of get up and go, and will take some g's in the corner. The car has great lines, inside and out. Overall the Red Line is not disapointing and is a blast to drive! I purchased this car after shopping the Honda Civic based on ride performance and equipment for the money. I figured the $3500 I saved would make up for a 3 mile per gallon difference. I drive 90 miles a day and am averaging 37 mpg with a high of 40.5mpg and a low of 34mpg. Mileage has increased at each fill. I now have 6000 miles on the car and have loved every mile. I love the room I have even though I am signficantly larger than average. I've had no problems owning this car. It has been a wonderful car since day one. I love the way it hugs corners, and the seats really support my body. I love the center dash because I don't really have to take my eyes off of the road to monitor my speed and other things, whereas you would to look between the steering wheel in a typical mounted dash. This economy sedan really puts the fun back into driving. The car is very responsive, but not too responsive like some cars. It seems to get pretty good gas mileage. This car performs very similar to a 6 cylinder car although it is a 4-cylinder. So I get good gas mileage in a car with plenty of power to get out of the way.